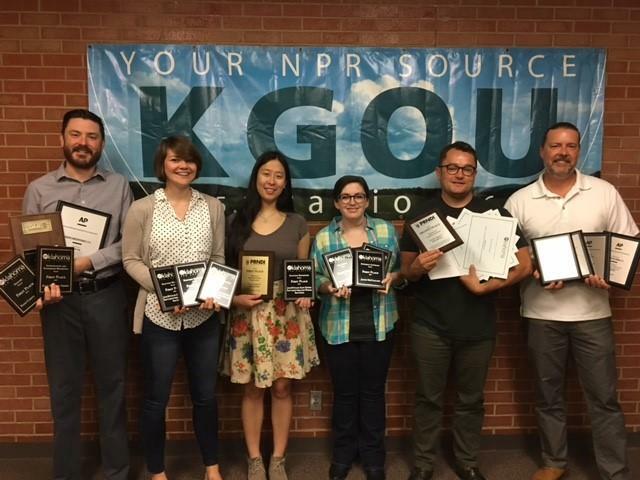 KGOU and StateImpact Oklahoma earned 16 awards, including eight First Place honors, from the Oklahoma Society of Professional Journalists. KGOU news director Jacob McCleland took First in the Oklahoma Association of Broadcasters Awards for his feature on rattlesnake hunters. Finally, Storme Jones won First Place for Radio Newscast in the Oklahoma Broadcast Education Association student contest. Those winning awards were: Jacob McCleland, Kate Carlton Greer, Brian Hardzinski, Storme Jones, and SIO reporters Joe Wertz and Logan Layden. Click here to go to our Awards page.